[title color=”color-default” align=”scmgccenter” font=”arial” style=”normal” size=”scmgc-1em”] Cinco De Mayo in Sacramento[/title] has always been a party in California and this year is no different. 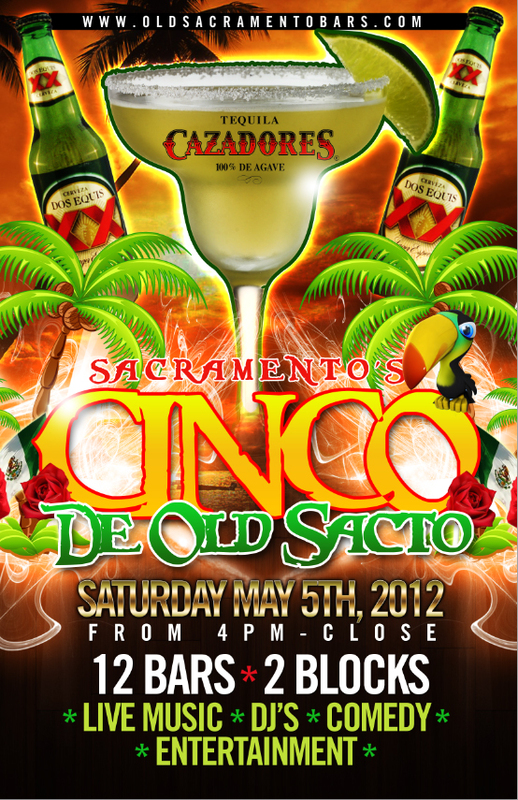 This years Cinco De Mayo event will take place in the bars of Old Sacramento. Sacramento Celebrates Cinco De Mayo in Old Sacramento with 12 bars all within two blocks. So if you’re looking for Live Music, DJ Dancing, Sports, Theater, Comedy and Great Mexican Food & Drink then Old Sacramento has your party This Cinco De Mayo. The party starts at 4pm and goes till close. This is a 21 and over event. With 12 bars all celibrateing Cinco De Mayo within walking distance of each other it is sure to be a party. 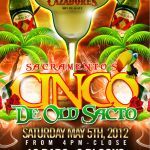 So what ever your looking for Old Sacramento ‘s Cinco De Mayo party will have it for you. ← Previous Post - Thanks for Signing up.